I’m sorry, did I say the new Call of Duty will be revealed Sunday? Apparently, we’re not waiting, as Destructoid is reporting someone has leaked what appears to be the trailer for the next Call of Duty. 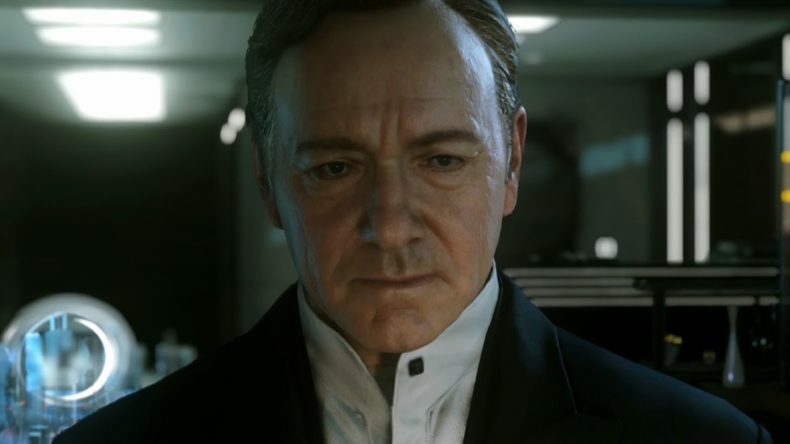 Titled Call of Duty: Advanced Warfare, the new game is chock-a-block with futuristic stuff and a ranty uncanny valley Kevin Spacey. If you were wondering how Call of Duty would compete with Titanfall, apparently the answer is becoming nearly as futuristic. There are jetbikes, powered armor, dropships, superjumps, cloaks, anime-style tanks, and what seems to be a dystopian plot about private military out of control. Check it out at Destructoid.